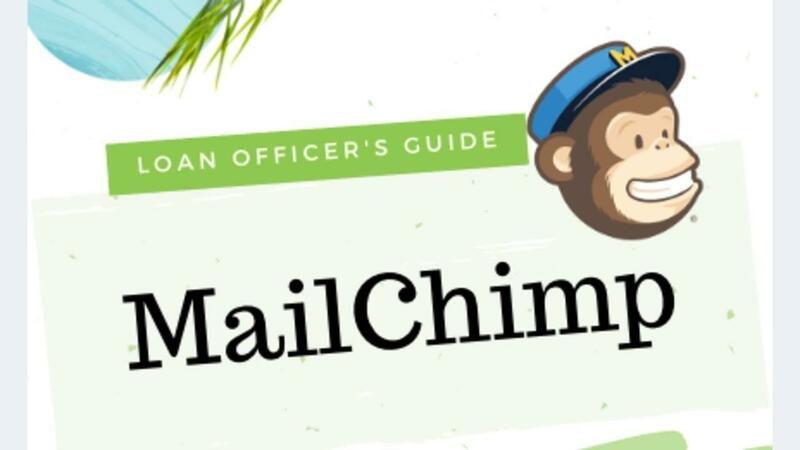 MailChimp is simple and easy to use where the software gives you access to an array of email marketing tools conveniently located in one place. There are several advantages that MailChimp provides over other CRM systems in the industry which makes it a top choice for Loan Officers looking to create a free email marketing platform to use and at the moment allows up to 2000 contacts free of charge. List: Where a subscriber's email addresses is stored and have the ability to send campaigns and automations. Subscriber: This is where someone (a contact) has opted in or given you consent to add them to your list. Only add people as subscribers when they have given you permission to. Newsletters: These are the emails you send to the subscribers on your list. Campaigns can either be one-off blasts to your list or automations which can be single emails or a series of emails that are sent when something specific happens (signs up for content information). Template: This is what your campaigns look like and where you can use your logo, colors or fonts. MailChimp lets you create templates with a drag and drop creator, plain-text emails still perform the best. Merge fields and groups: Other newsletter tools refer to these as “tags” but in MailChimp you can associate different bits of information with every subscriber: like what page they signed up from, what they bought or didn’t buy or what they’re interested in. You can also use merge tags to personalize or add dynamic content to emails. Landing Pages: Landing pages are standalone web pages that your contacts or potential contacts can “land” on when they click on link from an email, ad or other digital locations. Loan Officers should use landing pages to generate mortgage leads. Email Campaign Automation: Unlike regular campaigns, an automation is a targeted email or series of emails that you can set it and forget it.